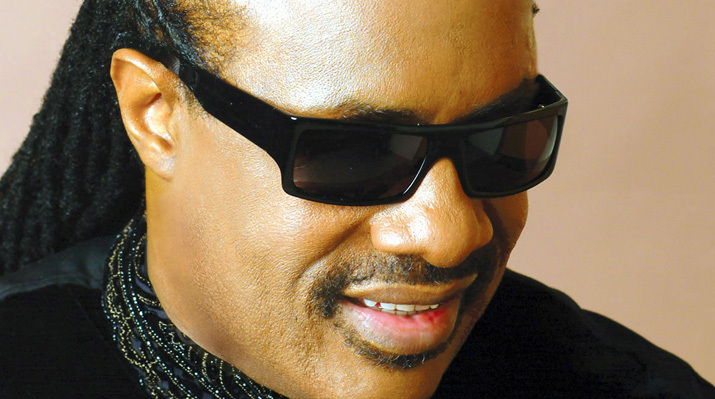 Stevland Hardaway Morris (born Stevland Hardaway Judkins; May 13, 1950), known by his stage name Stevie Wonder, is an American musician, singer, songwriter, record producer, and multi-instrumentalist. A child prodigy, he is considered to be one of the most critically and commercially successful musical performers of the late 20th century. Wonder signed with Motown's Tamla label at the age of 11, and he continued performing and recording for Motown into the 2010s. He has been blind since shortly after birth. Among Wonder's works are singles such as "Superstition", "Sir Duke", "You Are the Sunshine of My Life" and "I Just Called to Say I Love You"; and albums such as Talking Book, Innervisions and Songs in the Key of Life. He has recorded more than 30 U.S. top ten hits and received 25 Grammy Awards, one of the most-awarded male solo artists, and has sold over 100 million records worldwide, making him one of the top 60 best-selling music artists. Wonder is also noted for his work as an activist for political causes, including his 1980 campaign to make Martin Luther King Jr.'s birthday a holiday in the United States. In 2009, Wonder was named a United Nations Messenger of Peace. In 2013, Billboard magazine released a list of the Billboard Hot 100 All-Time Top Artists to celebrate the US singles chart's 55th anniversary, with Wonder at number six.